From 1:00 p.m.-9:00 p.m. on June 16 and 10:00 a.m.-9:00 p.m. on June 17 & 18, 2017, you can listen to live music and Juneteenth historic readings, shop the Artists Market, experience African Drum & Dance, participate in everything from kite flying to chess matches, get your stretch on with yoga in the park, show off your skills at Double Dutch & Hop Scotch, indulge with multicultural cuisines, & more at the Juneteenth Atlanta Music Festival. 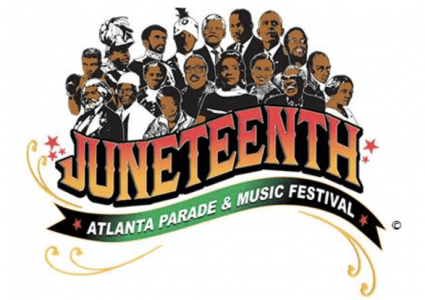 Plus, the Juneteenth Atlanta African History Parade steps off at noon on Saturday, June 17. The parade starts at Mozley Park and travels east on MLK Jr. Drive to Morris Brown College, where it meets up with the Junteenth Atlanta Music Festival. If you don’t know what Juneteenth is, here’s the short version of why it’s a day of celebration mixed with reflection: Juneteenth (June 19, 1865) is considered the date that the last slaves in America were freed. The Juneteenth Atlanta Music Festival takes place at Morris Brown College, located at 643 M.L.K. Jr. Drive NW, Atlanta. Adult tours at 9:15 a.m. and 11:30 a.m.
Children’s tour at 10:15 a.m. This event is free and open to the public. No reservations required for tours. The two-day Juneteenth celebration focuses on the appreciation and commemoration of emancipation from slavery in the United States. There’ll be performances of The Order of Freedom and Clay: Palm to Earth, storytelling, Mama Koku’s stories, & more. If you have time while you’re there, you can check out the Atlanta History Center’s exhibitions, explore the Smith Family Farm and Swan House, and walk the twenty-two acres of gardens and trails. 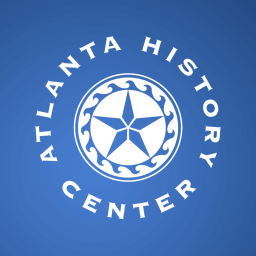 Atlanta History Center is located at 130 West Paces Ferry Road, Atlanta.